Looking for text in your document? The Find pane helps you find characters, words, and phrases. If you want, you can also replace it with different text. If you’re in Reading View, switch to Editing View by clicking Edit Document > Edit in Word Web App. To open the Find pane from the Edit View, press Ctrl+F, or click Home > Find. Find text by typing it in the Search the document for… box. 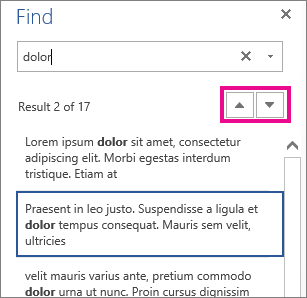 Word Web App starts searching as soon as you start typing. To further narrow the search results, click the magnifying glass and select one or both of the search options. Tip: If you don’t see the magnifying glass, click the X at the end of the Search the document for… box. The magnifying glass reappears. 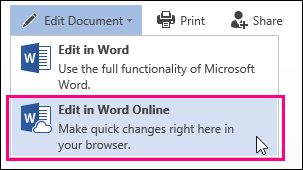 When you type in your document or make a change, Word Web App pauses the search and clears the Find pane. To see the results again, click the Next Search Result or Previous Search Result arrow. When you’re done searching, click the X at the end of the Search the document for… box.